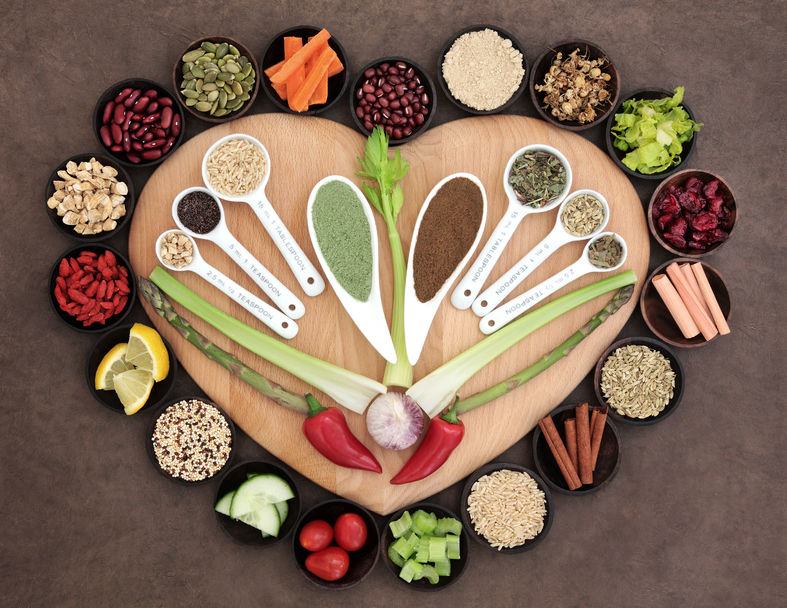 Blog - How To Eat Right With Heart Disease? Heart-healthy diet is the key to manage heart diseases in the long run. Planning a heart-healthy meal doesn’t mean that you have to give up everything you love eating. It simply means eating the right food with right portions. 1. Love your heart, love your veggies: Include plenty of vegetables and fresh fruits that contain lots of fibre, vitamins, minerals, and antioxidants in your meal. You can start by introducing a bowl of salad full of leafy vegetables like lettuce and spinach topped with baby tomatoes, chopped carrots, and broccoli. Do not add too much of dressings such as mayonnaise and cheese to the salad. Salt and pepper, if added to the salad, should be very little. In a day, a person with heart conditions, must aim for eating at least five servings of vegetables and of fresh fruits. 2. Limit bad cholesterol food items: A diet rich in low-density lipoproteins (LDL), popularly called the bad cholesterol’ can dramatically increase your risk of a heart attack. 3. Eat the right kind of carbohydrates: All carbohydrates are not equal. Simple carbohydrates found in soft drinks, table sugar, and cherry pies have no nutritional value. Whereas starchy vegetables, whole grains, and fiber containing complex carbohydrates (opt for fresh fruits than juice) are good for health. Rich in high antioxidants, nuts are one of healthiest protein choices that you can make for your heart. Lentils are another excellent choice to include in your diet. Legumes such as beans and peas are rich in protein. The best thing about plant-based protein is that they don’t increase your LDL levels. 5. Snack wisely: The evening snack time is the most testing time of the day. After a day-filled with work and commitments, you feel like munching something sweet and salty for energy boost or just to break the boredom. Instead of having sugar-laden tea and so-called energy drinks that are nothing but sodium and sugar, opt for a bowl of hot vegetable soup or a cup of green tea. Keep unsalted nuts and seeds handy. Dry fruits are rich in micronutrients, fibre, and antioxidants and make great evening snacks. As they are rich in calories, you must check the portions. You can also keep boiled vegetables in your lunch box. Steamed green or red bell peppers, apple slices, celery, carrots, or broccoli with a homemade dip make a perfect evening snack. A whole-grain toast topped with low-sugar jam is also a great snack option. 6. Cut back salt intake: For a healthy heart cut down your salt intake. Instead of adding salt to your salads, use herbs to flavour your food. Avoid eating processed foods that contain high amounts of salt and sodium-rich preservatives. 7. Stay hydrated: Water is not just crucial for the functioning of our organs and flushing toxins out of our body, but it also prevents a person from eating more. An average person should consume at least 1 to 2 litres of water daily unless advised otherwise by a doctor. Last but not the least, while planning the meal watch out for what you are eating. Read the nutrition labels on packaged food and beverages carefully. Nutrition labels on all packaged foods and beverages provide calories per serving information.